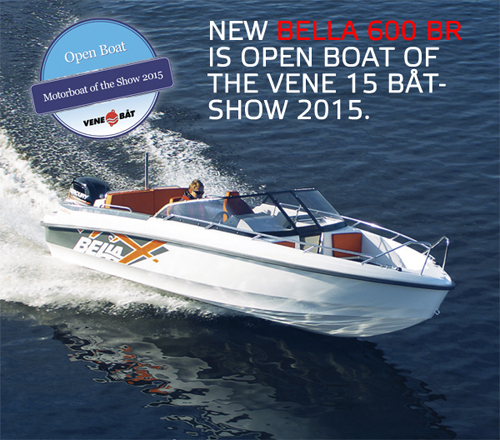 The Bella 600 BR was given the award for the Best Open Motorboat of 2015 at the Vene 15 Båt boat fair. 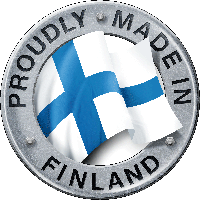 The panel was impressed with the well-thought out proportions of the boat, as well as its numerous practical details. The boat’s look and feel, design and colour scheme are features that speak to potential owners, and the boat as a whole brings fresh air to its class with its modern styling, according to members of the panel. In addition, the Bella 600 BR requires only a modest amount of power to perform well, and it is extremely versatile – a new type of quality boat with a dash of youthfulness. Bella thanks the panel for this honour.